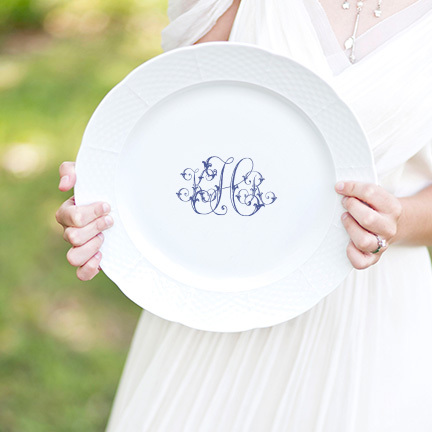 Where was personalized, customized dinnerware when I was getting married?!? There is no doubt that I would registered for this in a nanosecond! 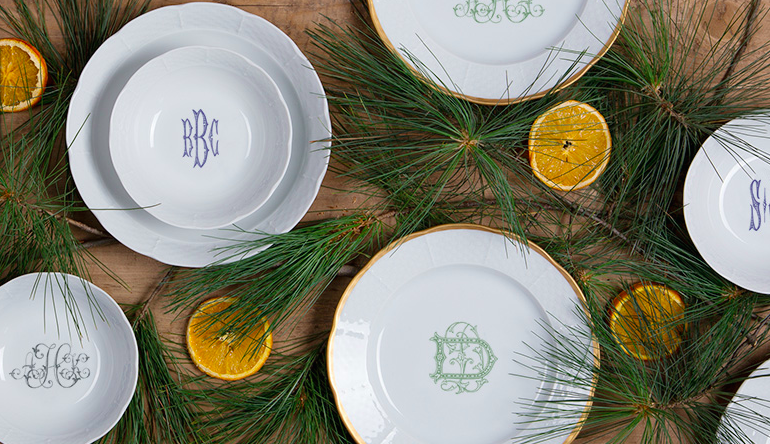 Sasha Nicholas, based in St. Louis, MO, has created affordable, dinnerware (dishwasher safe) that can be personalized from their library of monograms, a custom monogram they create for you or with an existing crest or monogram, thus creating a unique and cherished plate (or set) for you or someone you love. 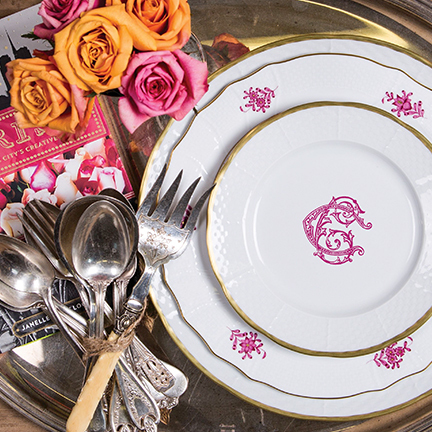 You can send them photos of your grandmother’s china or dinnerware you’ve picked up along the way and they will make suggestions to compliment what you already have. 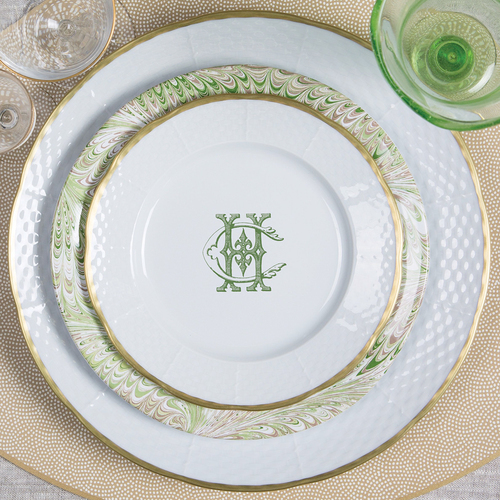 Made in America with only a 2 week lead time, what a great hostess gift for the holidays! 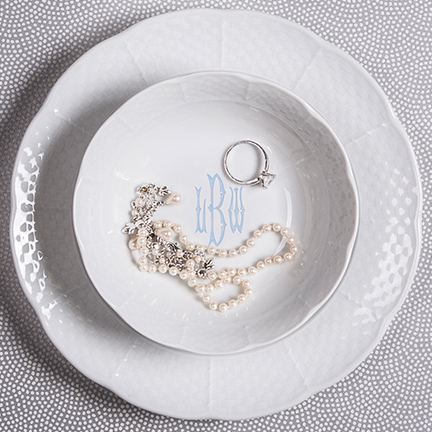 Or you could start someone on a collection, which will someday be a family heirloom! 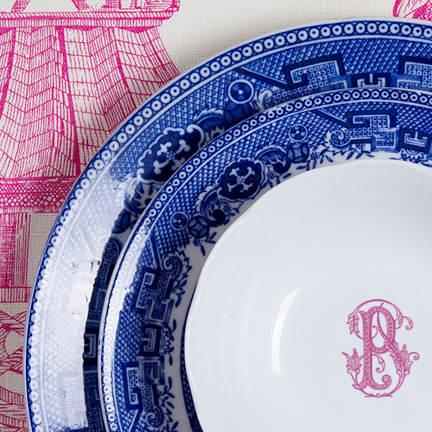 I love how they pop against the handmade hardboard placemats by Holly Stuart Home, too! How would you customize yours? 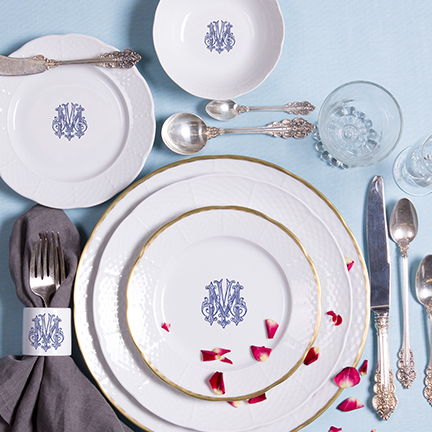 I’m partial to the gold rimmed plate above, with the interlocking monogram.